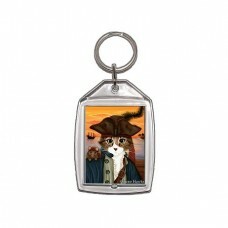 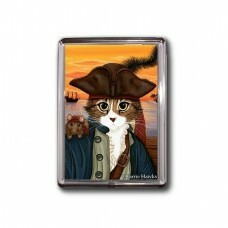 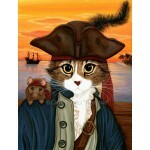 Captain Leo - Note Card - The brave pirate cat, Captain Leo sails the seas at sunset with his little..
Captain Leo - Keychain - The brave pirate cat, Captain Leo sails the seas at sunset with his little ..
Captain Leo - Magnet - The brave pirate cat, Captain Leo sails the seas at sunset with his little pi..
Captain Leo - Ring - The brave pirate cat, Captain Leo sails the seas at sunset with his little piRA..
Captain Leo - Cuffed Bracelet - The brave pirate cat, Captain Leo sails the seas at sunset with his ..
Captain Leo - Bookmark - The brave pirate cat, Captain Leo sails the seas at sunset with his little piRATe (pirate rat). 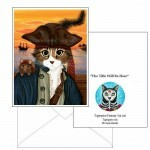 The bookmarks are printed on heavy weight water resistant glossy photo paper with a thin black border. 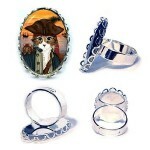 They all come in a thick clear vinyl sleeve with a matching ribbon & fancy tassels tied at the top. The bookmarks measure approximately 2.8" x 3.75". 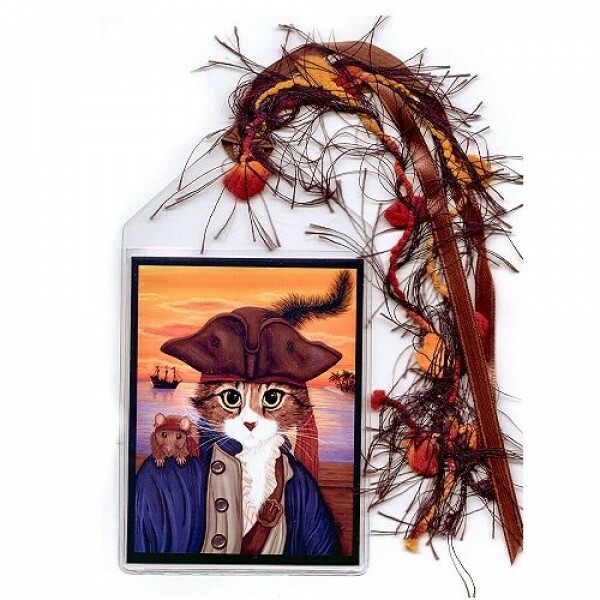 Note: Tassel & ribbon colors may differ from picture, but they will always coordinate with the image. 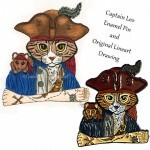 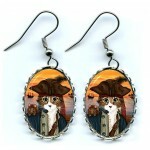 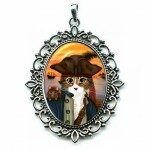 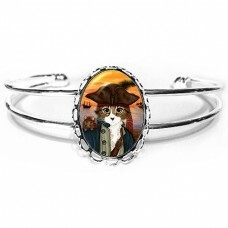 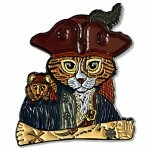 Captain Leo - Ring - The brave pirate cat, Captain Leo sails the seas at sunset with his little piRATe (pirate rat).Be sure to check out the Related P..
Captain Leo - Cuffed Bracelet - The brave pirate cat, Captain Leo sails the seas at sunset with his little piRATe (pirate rat).Be sure to check out th..
Captain Leo - Earrings - The brave pirate cat, Captain Leo sails the seas at sunset with his little piRATe (pirate rat).Be sure to check out the Relat..
Captain Leo - Cameo Necklace - The brave pirate cat, Captain Leo sails the seas at sunset with his little piRATe (pirate rat).Be sure to check o..
Captain Leo - Original Linework Drawing and Enamel Pin Set - This is my original pen and colored pencil line work drawing I created for my custom Capt..
Captain Leo - Collectible Enamel Pin - The brave pirate cat, Captain Leo sails the seas at sunset with his little piRATe (pirate rat).Details:Op..